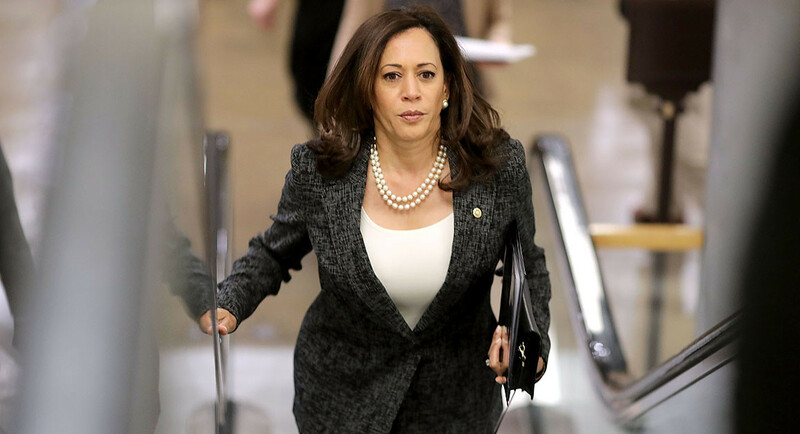 Kamala Harris will soon become a household name given the increasingly resilient rumors of a possible run for the presidency in 2020. This fast-rising politician and lawyer from Oakland was appointed the junior United States Senator from California in 2017. Prior to this position, she was the Attorney General of California, an office she held from 2011 to 2017. Kamala is known for her refusal to back down or be silenced by her male contemporaries. An ever resilient truth-seeker, this Howard University graduate is a go-getter. The present presidential rumors about the Senator have shone the light on her husband to find out what kind of person the possible debut First Man of U.S is. 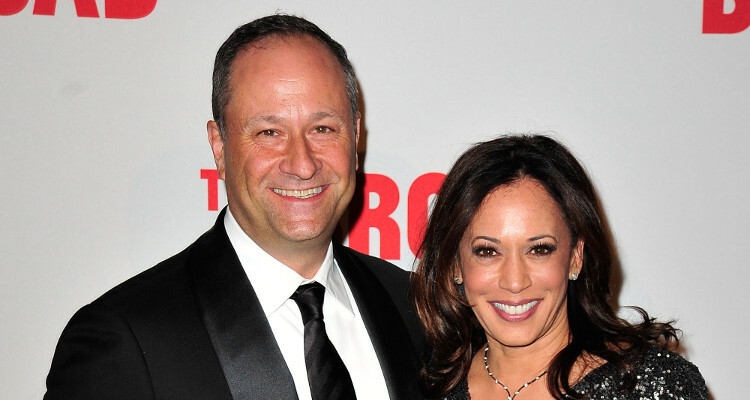 Who is Kamala Harris’s Husband? His name is Douglas Emhoff, he has been the managing Westcoast director at Venable LLP since 2006, according to his LinkedIn page. However, in early 2017, he took the bar in Washington D.C and was sworn in on March 10 of the same year. This move has definitely done nothing to quiet the presidency rumors. Like his wife, Douglas Emhoff is the kind of man that lets nothing stand in his way; a hot head of sorts. He recounted in an interview with Law360 an event that happened during his early days as a lawyer. He had outrightly accused another lawyer of lying during court proceedings. Though he still stands by his statement, he does concede that he could have handled it better. He says now he will instead file the information away and be prepared to use it at an appropriate time and in the right manner. Learning from one’s mistakes is definitely a good trait for any potential first man of the U.S. In 2015, a report from the L.A. Times revealed that the couple had a combined asset of between $1.5 million to $4 million. Their tax returns were revealed by Sacramento Bee in 2016. It showed that they had paid approximately $450,000 in State and Federal Income taxes. Emhoff and Harris are big believers in philanthropy. The report also revealed that they had donated $32,947 to charity, with $10,000 of that going to UNICEF. Emhoff always tries to keep his followers on social media up to date with happenings in his family. He posts regularly about himself, his wife and his kids. Harris’s mother is Tamil Indian; she emigrated from Chennai in India in 1960. Her name is Shyamala Gopalan Harris and she was born in 1938. She was also a well-known researcher for breast cancer. She died in 2009. Her father is Donald Harris and is of Jamaican descent. He came to the U.S from Jamaica a year after her mother in 1961 to do his graduate studies in economics at the University of California. He would later become an economics professor at Stanford University. The family resided in Berkeley, California. When Kamala was seven years old, her parents separated and her mother was given custody of herself and her younger sister, Maya. Following the divorce, her mom relocated them to Montreal, Quebec, which is where she took up employment at the Jewish Teaching Hospital and McGill University. Much later, Harris went back to California, where she earned her Juris Doctor (J.D.) from the University of California, Hastings College of the Law. While Kamala Harris was a County Deputy District Attorney in the 90s, she was in a relationship with Willie Brown. At the time, Brown was the Speaker of the California State Assembly. The relationship did not last, however, as they broke up not long after Brown took over the office of Mayor of San Francisco. Harris’s next lover came in the shape of Douglas Emhoff. They got engaged on April 7, 2014, and tied the knot four months later, on August 22, 2014. Kamala and Douglas had met on a blind date that was planned by one of her close friends. The two got married at the Santa Barbara County Courthouse in August 2014. The ceremony was officiated by the Senator’s sister, Maya, who also happens to be a lawyer, same as Harris and Douglas. Maya Harris is also an MSNBC political analyst. Kamala’s brother-in-law, Tony West, is a former senior official of the U.S Justice Department and is also the General Counsel for Uber. The Senator has a niece and two stepchildren by reason of her relationship with Douglas Emhoff.